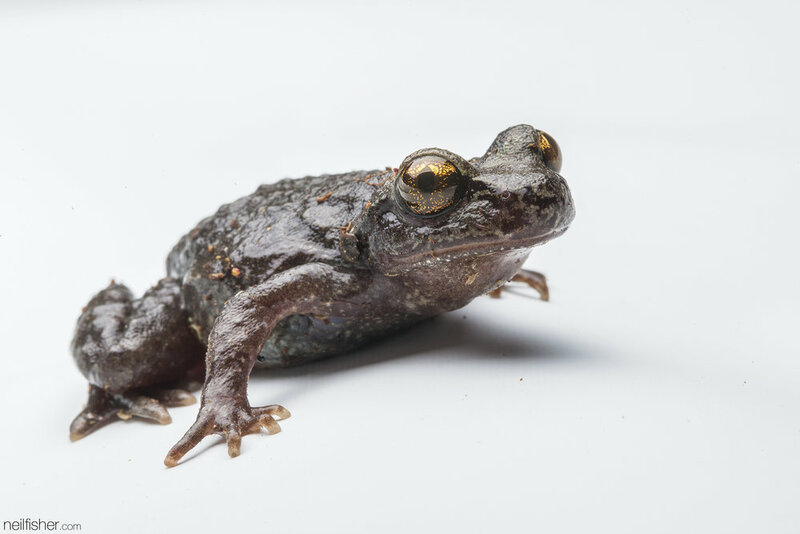 Today, on Earth Day, meet a frog whose roots go back as far as Pangea (no, not the Avatar planet). A frog that can’t croak and can’t jump properly, a frog classified as a suborder of ancient frogs, a frog who’s evolution has been far from normal. 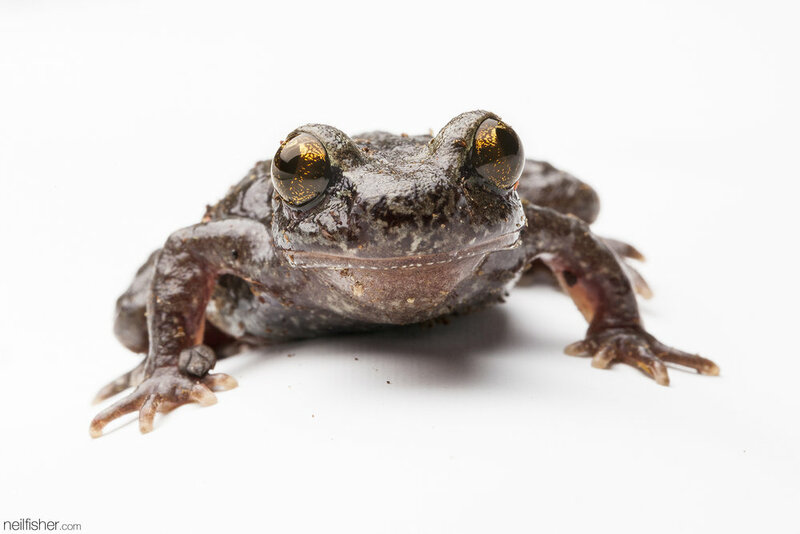 The Pacific tailed frog, Ascaphus truei, lacks ear membranes as well as the ability vocalize, they’re the only frog in North America that reproduces by internal fertilization, and when they jump every landing is pretty much an awkward belly flop of a crash. If you stand at the bottom of Shannon Falls, the noise of the falling water is reminiscent of two freight trains colliding. Now let's say while being soaked by the constant waterfall mist you spot your soulmate across the water – would you yell, scream, or try serenading them with your best Boys To Men cover? Chances are any noise you make is going to be drowned out by the roaring water. So why bother trying to make any noise at all? In fact, why bother even listening? It’s not likely anyone else standing beside the roaring waterfall is going to try and converse with you. I’m not suggesting we all start Vincent van Gogh’ing ourselves, but after a few thousand years of standing beside a waterfall without talking and not needing to listen, I’d bet we’d lose the ability to do both. So maybe a frog that lives by roaring water doesn’t really need the ability to hear or vocalize. But why would any frog choose to crash land? Roughly 200 million years ago, before the supercontinent Pangaea broke up, a frog evolutionary split occurred. This split resulted in modern frogs and primitive frogs. After the Pangaea divorce, the primitive tailed frog lineage ended up here in the Pacific Northwest and New Zealand. These primitive tailed frogs and their New Zealand cousins held onto a few features that were lost by the fancy modern frogs, including: an extra vertebrae, free ribs, a tail pumping muscle, and a cartilaginous pad in their pelvic girdle. The evolutionary split and ancestral features don't directly explain the tailed frog crash landings, but they do reinforce how primitive of a species they are. Most 'modern' frogs jump and land on their forelimbs and then bring their hind limbs back underneath their body - ready to jump immediately upon landing. Science has concluded that controlled landings appeared after the evolutionary split - and these primitive tailed frogs simply missed out. Last but not least is that tail. Although it may look like metamorphous leftovers - the tail is actually the manly bits, a 'copulatory organ', that's used to fertilize a female's eggs internally. The above (pictured) frog is a female and as such doesn't have a 'tail'. If the tailed frog reproduced using the typical frog method of external fertilization, the fast moving water that they lay their eggs in would quickly wash away the male's sperm, leaving most eggs unfertilized. 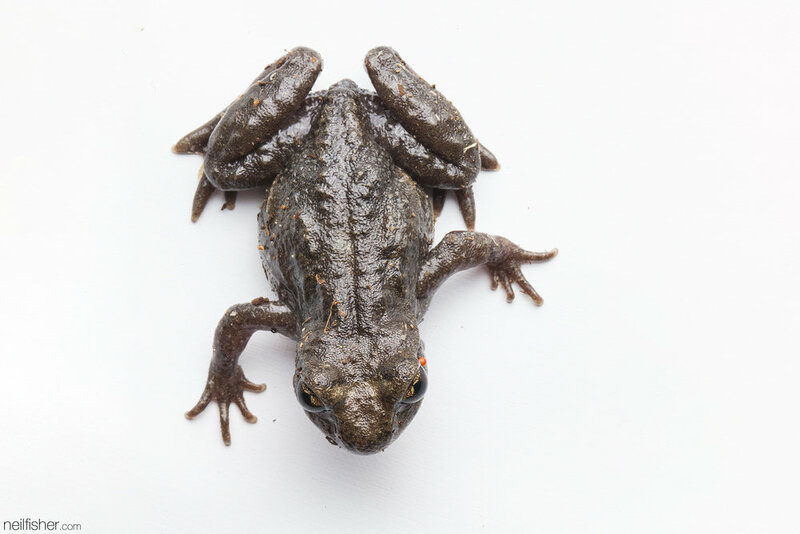 So the tailed frog's little tail may look un-evolved or like a piece of tadpole after thought, but it's actually a habitat specific piece of anatomy. This little primitive frog that has remained pretty much unchanged over the past 245 million years. It saw the dinosaurs come and go, survived the ice age, and now faces its biggest challenge yet – us. The Pacific tailed frog has found its way on to BC's provincial blue list and federally is listed as a species of Special Concern. Even with the best intentions of the provincial Forest Practices Code, the biggest threat to the Pacific tailed frog remains ‘forestry activities’. Logging damages breeding streams with the removal of undergrowth and cover vegetation. The slightest disturbance to stream beds causes significant siltation, and the removal of tall trees along stream banks can increase water temperature through increased sunlight. So today, on Earth Day, take a moment to think about this little primitive frog, how unique it truly is, and how you might go about lessening your impact on their home. I'm not expecting everyone to give up on toilet paper overnight, but try to double-side whatever you print or maybe sign up for a digital newspaper-less subscription instead of getting it delivered. Even the smallest effort can have an impact.